Produces abundant flowers, with up to 100 star-shaped little flowers on each raceme. Combines very nicely with Bleeding heart perennials (Dicentra spectabilis). In flower beds, borders, as cut flowers, amongst perennials & ground covers and for naturalizing in larger fields. (Besides the species itself); 'Zwanenburg' (wisteria blue). 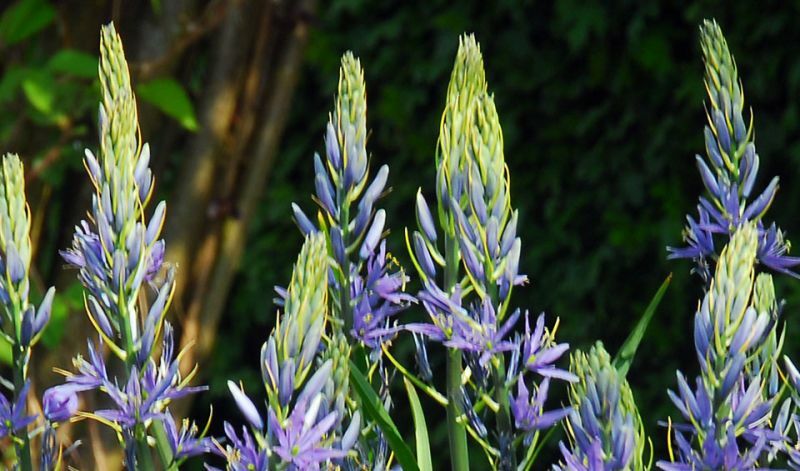 The origins of the genus Camassia must be sought in the western part of North America where this species is found growing in the mountains and on the prairies. Remarkably, this bulbous plant is relatively unknown. Seven or eight species exist, but only three are commonly cultivated. The name 'Quamash' comes from a North American Indian language. The cooked bulbs of certain species were also eaten by the Indians.